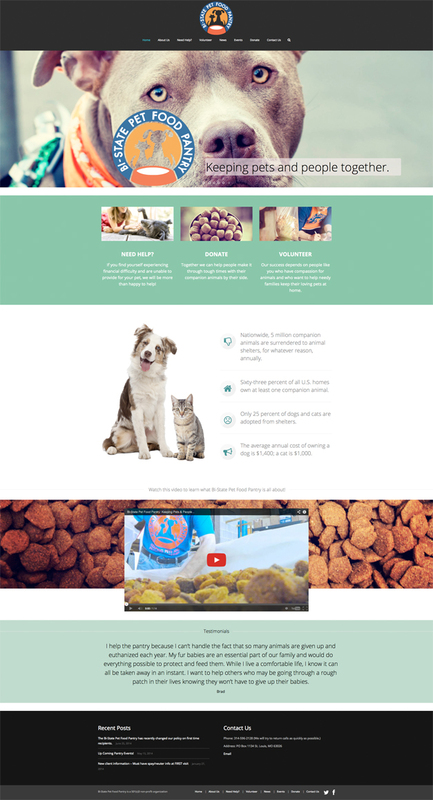 Bi-State Pet Food Pantry came to Think Tank with one mission – redesign our website to help us help others more effectively. Bi-State Pet Food Pantry is a non-profit organization dedicating to helping people keep their pets during hard times. With the declining economy many years ago they couldn’t help noticing that while there were many organizations providing assistance to families in need of food, clothing, and housing, one family member in particular was continually overlooked – the family pet. Bi-State Pet Food Pantry operates solely on volunteers’ time and efforts with six board members and nearly 50 volunteers. In 2013, they assisted almost 2,000 pets and distributed 153,000 pounds of food. 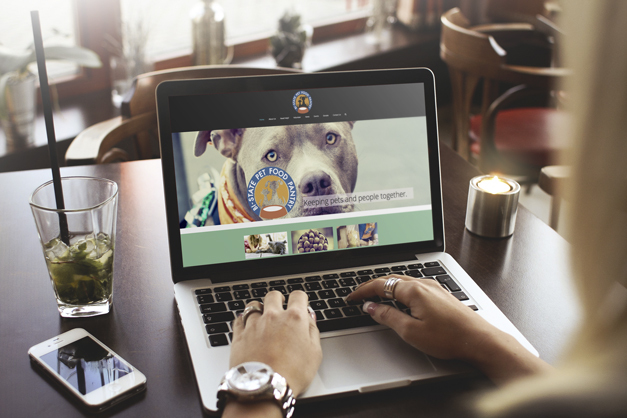 When families fall on hard times, Bi-State Pet Food Pantry is happy to know that they can help them care for their four-legged family members and Think Tank is happy to help them do their great work with the completion of this website.